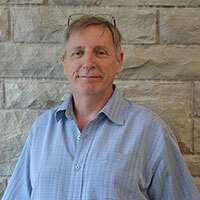 I am a faculty member here in the Faculty of Education at the University of Western Ontario in London, Ontario. I started here in July 2001 after working for a number of years at the University of Auckland in faraway New Zealand. My PhD comes from OISE at the University of Toronto. Before that I was a biology, general science and computer science teacher in Nova Scotia for about twenty years. Curriculum is related to teaching and learning. The major purpose of science teaching is to facilitate students’ learning of science. That is easier said than done. Teaching always starts with and in the teacher. We have to look at your view of student learning because that will affect how you will go about making a curriculum for your students. Students can be looked on as clay to be moulded or active enquirers who come to class with preconceived notions of things. The first way sees students as empty vessels, “tabula rasa” and supports a view of learning as one-way transmission. This is the traditional view. There is a second view that teaching is transactional, in other words it goes two ways. A third is that teaching should be transformational -- that is change both teacher and student. For example, if learning is passive and learners are passive, you tell them what they need to know. They absorb what you have told them to varying extents. Some students absorb more than others because they work harder or they are smarter. You use as your guide, the structure of the discipline you are teaching as your curriculum. You test the students to see how much they have absorbed. If you are innovative, you might assess them in a number of ways to see if they have learned by more than simple rote. If you are innovative you may have designed concrete lessons for them to follow in which they have done some practical activities after which you were able to tell them the right answer if they got it wrong. That is called your epistemology. If you think that knowledge is concrete then scientific knowledge is real and objective and, therefore, can be told to others. Since scientific knowledge is shared by all scientists, you can tell students what scientists know. You can tell students that science is value-free and discoveries are based on observations made by scientists. You know that to teach science well you tell the students the laws, principles, facts that have been discovered by science. How well you teach depends on how well you describe these laws, principles, and facts. You want students to know these laws, principles and facts. You value a textbook that tells students this knowledge in an organised, efficient, readable manner that motivates them to learn this knowledge. This will be useful in reinforcing your telling them the knowledge. It cements your place as the knower – the sage on the stage. This will be useful especially if the practical work doesn't work out the way it should have. You use the school laboratory to teach the laws, principles, and facts (one of those facts being that science is a process that is followed step by step) and that, if you do it right, you will always get the correct answer. What do you think of this epistemology? What does it have going for it? What is wrong with it? However, if you view learning as an active process and all knowledge even scientific knowledge as tentative, you have to make much different provision for learning. Where would you start? With a curriculum you had made up or by asking students what they already know? What would you say about science? How would you explain science to the students? What would you say about the scientific laws, principles, and facts? What methods would you use? Lectures, practical work, projects, investigations? What would you use the laboratory for? Teaching science, teaching about science, having students do science, trying to help students to enjoy science, or trying to help students get a sense of phenomena? How will you deal with the results that students get? What if students' ideas are not generally acceptable to scientists? How will you know what the students have learned? How will you know how well you did? Tries to explain learning without referring to mental processes. The focus is on observable behaviour and how an organism adapts to the environment.. Despite these very "low-level" learning experiments focusing largely on reflexes, behavioristic theories have been generalized to many higher level functions as well. The learner is viewed as adapting to the environment and learning is seen largely as a passive process in that there is no explicit treatment of/ interest in mental processes. The learner merely responds to the "demands" of the environment. Knowledge is viewed as given and absolute (objective knowledge). Cognitive Science (Piaget) How learning occurs in the individual. Goes inside the head of the learner, so to speak, to attempt to discover and model mental processes on the part of the learner during the learning-process. Knowledge is viewed as symbolic, mental constructions in the minds of individuals, and learning becomes the process of committing these symbolic representations to memory where they may be processed. The development of computers with a strict "input - processing - output architecture" have inspired these "information-processing" views of learning. Knowledge, however, is still viewed as given and absolute just like in the behaviorist school. If he is right then teaching methods must reflect the child's state of development and they can't learn particular things until they have reached the right stage. That is sometimes called readiness. But classrooms are full of students at different stages at the same time. And a problem with Piaget's work was that he did his research in the lab out of the context of life and learning. Today most educators understand the value of context. Today we would say that both content and context are crucial for learning to take place. In other words, you have to have something to learn and you have to have a reason for learning it. Yet this is one root of constructivism - the personal construction of knowledge. Another important figure in cognitive science was Gagne a learning theorist behind much of the process approach to science teaching in the 70's. One of his accomplishments is the idea of short term memory, long term memory. He believed that learning came in three stages - input, retention, and retrieval. He thought that science process skills were discrete and if you learned the skills individually you could do science. But neither process nor discovery portrayed an authentic view of the way that scientists actually do science. That is, the content affects students' use of the skills as they do scientists. He proposed that teaching must provide 'advanced organisers' - that is theoretical frameworks in which students can put their new knowledge. Before you can teach evolution you have to give students a general frame on which they will be able to organise their thinking. Views knowledge as a constructed entity made by each and every learner through a learning process. Knowledge can thus not be transmitted from one person to the other, it has to be (re)constructed by each person. Knowledge is seen as relativistic (nothing is absolute, but varies according to time and space) and fallibilist (nothing can be taken for granted). Emphasises the exploration and discovery on the part of each learner as explaining the learning process. George Kelly, a psychologist whose ideas seem to support radical constructivism. He had written a book in the 50's in which he said that everyone has their own constructions or 'personal theories' with they explain and cope with the events of life. Students don't necessarily have the same theories as their teachers or research scientists. For example, students may think that potassium is a mineral not a metal, or that light comes out of our eyes because 'we look for things'. Similar in its foundations to radical constructivism, this is the basis of much of Computer Supported Cooperative Learning. The socially oriented constructivist theories stress the collaborative efforts of groups of learners as sources of learning. Work in distributed intelligence by Roy Pea is also very important. He states; "...the focus in thinking about distributed intelligence is not on intelligence as an abstract property or quantity residing in either minds, organizations or objects. In its primary sense here, intelligence is manifested in activity that connects means and ends through achievements". Vygotsky's notion of the 'Zone of Proximal Development' briefly stated says that people learn a new idea on the basis of their prior experience as long as the new idea is nearly adjacent to what they already know. Obviously, this has implications for asking students what they know and giving them experiences that bring them to a point where they can use that knowledge to create a new understanding. Don't try to teach abstract physics unless you can demonstrate something very similar that the students already are familiar with. Views learning as integration into a community of practice in which social actions are identified (for example the mathematical manipulation of abstract symbols according to given conventions) and classroom activities designed. The teacher's role in this activity is to forge the last link in the chain by ensuring that students execute the specified social actions that make it possible for them to do what they need. Social actions are seen to be more broadly based than social interactions. Thus the interactions of children in classroom activities are a small part of their enculturation into the required social actions. Knowledge is not something that is produced or acquired but is constituted in communities of practice and embodied in their tools (says Bereiter). In other words, knowledge is distributed. Like constructivist learning, situated learning is active, and does not serve an ontological reality. But unlike constructivism, it is inherently social rather than individualistic, intricately bound up with language, and is socio-historically conditioned. Cognition is distributed across time, environment and community; in other words culturally organized human activity. Where situated cognition offers a theory of learning premised in social practice, enactivism goes beyond, offering a dynamic theory of cultural practice where cognition is ecological and where the collective and the individual change through the process. Collective knowledge and individual understandings co-emerge and interact. Cognition is distributed across individuals and things, is situated in communities, and is occasioned through their interactions. Pedagogy in enactivism recognizes the importance of dialogue. Teachers, as co-participants, acknowledge the share that students have in problems that may be addressed and are responsive to the changes occurring through interaction. Apart from the learning theorists, philosophers of science have also played a role in the development of science education. In the 1960's a philosopher of science named Thomas Kuhn had looked at how scientists really do work. He saw them in communities socially creating a logical framework for their disciplines. He called their all-encompassing logical frameworks: paradigms. He said each paradigm was logically and internally consistent. Furthermore, it shapes the way that scientists even see data. Nuclear scientists and environmental scientists might really see the same data in different ways. Kuhn thought that science usually proceeded by doing its thing in an evolutionary way (that he called normal science) but every so often a new paradigm would come along that was so powerful that it supplanted the incumbent one. He called that revolutionary science. That is how he coined the term paradigm shift. His notions justify the social root of constructivism. The currently popular view of science education philosophy, pedagogy and philosophy is some kind of constructivism. We have to know a student's 'referents' to help them construct new meaning closer to that generally held by the scientific community if we are to help them learn science. One of the keys may be to help students to reflect on their own learning so that they can develop some metacognitive learning. Understanding your own thought processes. It has strong implications for assessment too. If there is some kind of 'scientific understanding' how can we share this with our students so they see it may be a tool they can use in their everyday lives? One possible track might be the introduction through hands on activities, of 'cognitive dissonance'. For example, present students with evidence that isn't easily explained by their everyday personal constructs but which can be better understood using 'scientific understanding'. Then reinforce that with a scientific understanding closer to what scientists currently think. For example, you can't teach Evolution adequately to grade seven students but you can teach aspects of natural selection. If these aspects can explain some everyday phenomenon like why animal species have different characteristics than each other better than students' current everyday theories, students will be tempted to incorporate it into more 'scientific' everyday theories. If students are active enquirers then teaching must be student-centred not teacher-centred. But there is a conundrum. If we are just learner-centred we run the risk of leaving the students in the 'ghettos of their own minds'. If we see teaching as a responsibility then we do have a responsibility to help our students learn those things that will likely be of benefit to them. The importance of activity by the learner. then you would have the best possible curriculum. Learners would conduct experiments and from that make their own theory just like scientists had done. It formed the basis of what was called Discovery Learning in the 1960's. It works great if you already know the content. Therefore, scientists loved it. As Joan Solomon said, 'It was noble but ill conceived'. It assumed that students would learn from hands on activities. But it produced a decline in students' attitudes to science. They were always getting the wrong answers and having to rewrite their work. Because doing hands on work is not as simple as Bruner's theory conceived it. Still it was better than transmissive teaching and anyway the teachers and scientists liked it. Exploration: Students learn through involvement and activities with new materials, ideas and relationships with minimal teacher guidance. The goal is to allow students to apply previous knowledge, develop their curiosity. Introduction: Teaching strategies to introduce the concept. E.g., demonstration, film, lecture, textbook. Directly related to the exploration activities. More teacher guided. Application: Students asked to generalize the newly learned concepts to new situations. Or to transfer ideas to other examples used as illustrations of the central concept. Often using several activities. Orientation - spark interest, discuss students' ideas and models (usually in small groups which report to the large group). Students ideas are not evaluated too early. Step 5 is not constructivist because it doesn't leave the final responsibility for learning with the students but it fits it in with the conceptual change ideas of teaching. LEP model (Stinner) Logical, Evidential and Psychological aspects of learning. Logical Plane ' Concepts, theories, laws, facts, principles of science. Psychological Plane ' Students' personal constructions of the significance of the connections between the logical and evidential planes. The teacher presents the logical information, asks what evidence supports it and asks students if it is intelligible (makes sense), plausible (fits with prior ideas) and fruitful (explains new things). Metacognitive model (White). Thinking about thinking makes conceptual change easier. Reflection: time to think about whether the change is needed. Education is a one-way process. Students are empty vessels or blank slates 'tabula rasa'. Learning is absorbing the wisdom of the master. This is the method that is supported by most educational institutions whether they accept that or not. UWO is no exception. This mode of teaching is seen in the typical large lecture hall filled with students taking notes with little interaction or engagement with the lecturer or even the ideas being presented by the lecturer. Teaching is a transaction; in other words it goes two ways. The learner learns through interaction with the teacher and with other students. We can see it in the typical small group discussion, in tutorials etc. Because the poverty of transmissive modes of education has been well understood for many years, seminars, discussions and tutorials are ways that have been invented to add to the learning possibilities of students who sit in lectures. These theories better explain the seamless interconnections between psyche and culture that have to be understood in connecting teaching and learning. These theories can account for learning in ways like Shweder's "thinking through others" and thinking through things. They allow for a complex understanding of learning, where things change, and cognition is neither fully personal nor fully social, but situated in the activity of individuals in their natural, cultural (and online) environment. One of the keys is reflection on and learning about one's own personal learning structures. Understanding our own thought processes facilitated by reflection on the structures of interaction and cyberspace. So, if there is some kind of 'social understanding', how do individuals come to share it? One way that this can happen is through 'cognitive dissonance' when evidence that isn't easily explained by prior 'presocial' frameworks can be understood better using 'social understanding'. The dissonance felt by the individual can only be made harmonious with social understanding closer to that currently held by the community. This is accomplished by comparing and overlapping the frameworks or by tacit acceptance of the social understanding. But none of this explains how to teach something constructively. There have been many attempts to meld notions of constructivism to teaching. This is of course impossible in the truest logical sense. The learner is not a 'receptacle' of knowledge, but rather creates his or her learning actively and uniquely. This characterization of learning, of course, is quite at odds with our dominant instructional models, such as lecture. Actively creating linkages among concepts, skill elements, people, and experiences. For the individual learner, this will be about making meaning by establishing and re-working patterns, relationships, and connections. New biological research reveals that "connection-making" is the core of both mental activity and brain development. Implicit learning derived from direct interaction and a range of cues given by instructors and peers that go well beyond what is explicitly being taught. Built-in opportunities for active engagement in a learning environment which decisively shapes individual understandings. When students have little or no knowledge of a certain topic, direct experience is required to gain that understanding and create a mental model. A mental process which, applied to the act of learning, challenges students to use critical thinking to examine presented information, question its validity, and draw conclusions based on the resulting ideas. The result of this struggle is achieving a better understanding of the concept. Students also reflect on themselves as learners when they evaluate the thinking processes they used to determine which strategies worked best. They can then apply that information about how they learn as they approach learning in the future. 'Maximum learning tends to occur when people are confronted with specific, identifiable problems that they want to solve and that are within their capacity to do so.' Ewell, P. T., (1997, December). Organizing for learning: A new imperative. AAHE Bulletin, 3-6. Opportunities for students to practice what they have previously learned. Brain research tells us that the 'brain's flexibility allows the neural networks that were constructed to address such problems to be quickly re-worked to deal with more pressing matters' (Kotulak as cited in Ewell, 1997, p. 9). 'New insights into the ways traditional cultures gain and transmit knowledge (drawn from sociobiology and anthropology) remind us that effective learning is social and interactive' (Ewell, 1997). An enjoyable learning setting is a cultural and interpersonal context that provides interactions, considerable levels of individual personal support, and creates learning opportunities. Appreciation often fosters curiosity and imagination which can be a prelude to a discovery phase in an information seeking activity. As learners proceed through the stages of information seeking their appreciation grows and matures throughout the process. The Pre-search stage enables students to make a connecting between their topic, question, or information need and their prior knowledge. Students identify appropriate information providers, resources and tools, then plan and implement a search strategy to find information relevant to their research question or information need. Instructional activities or units must be designed to require students to engage in critical thinking or problem solving. Students assess the usefulness of their information and reflect to develop personal meaning. They must analyse, synthesise and evaluate information. Students use their evaluation of the process to make revisions that enable them to develop their own unique information seeking process. As educated persons, students should possess not only communication skills (the abilities to speak, listen, read, write, and view effectively), affective skills (the abilities to acknowledge and understand emotions and their relationship to action, knowledge, and values), but also skills for living in a democracy. These would include: tolerance, critical thinking and decision-making, thinking together and making meaning, power sharing and empowerment, individual responsibility and civil involvement with others. These elements of democracy will prepare students to lead productive lives consistent with the tenets of a democratic society. Clear focus on needed capabilities in subsequent practice, along with assessment that supports that and clear link between theory and practice. They have counted some 55 such as self managed learning guides, using professional practice as a source of learning etc. Clarification of student expectations up front ' assessment, staff resources etc. Regulation changes that allow flexibility eg allowing cross crediting, negotiation of learning contracts etc. Intensive summer and winter sessions, learn at place of work, access to online library material etc. So, how should we teach? Good science teaching must be based on a sophisticated learning theory interacting with a good model of teaching. Practice is only as good as the theory that it interacts with. Thus, behaviorist and early cognitivist theories that have been shown to be unable to explain learning phenomena should be discarded for constructivist or enactivist theories. There are two potential models. Pedagogical Context Knowledge framework by Barnett and Hodson that more easily integrate teaching with constructivist and enactivist theories of learning. It evolved from a study of what exemplary science teachers know and do. Do we want to change students, enculturate them into the world of knowledge and knowing or have them accept in a docile way our own constructions of reality? This is a time of grace when we can go one way or the other. Kitto, R. & Barnett, J. (2007) Transcript analysis of E-mail interviews: A mixed-methods linguistics approach. American Journal of Evaluation. 28(3) 356-368. Barnett, J. (2004). Internet safety in school: Some thoughts for science teachers. Crucible 35(5), 19-22. Barnett, J. (2003) [Review of Examining pedagogical content knowledge: The construct and its implications for science education]. Science Education. 87(4), 615-618. Gunn, C.A. & Barnett, J. (2001). Online learning: A quality experience. In Roberts, P., & Chambers, M. (Eds.). Digital developments in higher education: Theory and practice. Cambridge (UK): Taylor Graham Publishing. Barnett, J, & Hodson, D. (2001) Pedagogical Context Knowledge: Toward a fuller understanding of what good science teachers know. Science Education 85,426-453. Barnett, J. (2001) [Review of Teachers and technoliteracy: Managing technology and learning in schools] New Zealand Journal of Educational Studies 35(2). Barnett, J. (1999). Teachers, communication and the Internet: A contemporary educational challenge. Web 99. Barnett, J. (1999). Using the web mindfully: Issues and challenges for science education. NZ Science Teacher: Journal of the New Zealand Association of Science Educators. Austin, L., Barnett, J., & Salter, D. (1998). Report on science program of the Tonga Institute of Education.Unpublished report. School of Education. The University of Auckland. Orpwood, G., & Barnett, J. (1997). Science in the National Curriculum: An international perspective. The Curriculum Journal 8,331-349. Barnett, J. (1996). Making science teaching authentic: The case for having students do science. Interactions1(11). Barnett, J. (1996). Visions and voices: The curriculum implementation of SciencePlus in the Canadian Maritimes. Unpublished doctoral dissertation. Toronto: OISE/University of Toronto. Barnett, J. and Orpwood, G. (1996). Linking outcomes, standards and assessment: A comparative study of science and technology curriculum documents. Assessment of Science and Technology Achievement Project (ASAP) Working Paper No. 3. Toronto: York University and ASAP. Barnett, J. (1996). Towards a more authentic view of science. Interactions 1(10). Barnett, J. (1995). Dr. Jekyll and Dr. Schweitzer: Two views of science. Interactions. 1(9). Barnett, J., & Orpwood, G. (1995). Indicators of success: How to monitor science and technology education in your school system. Unpublished manuscript. Toronto: York University Faculty of Education. Barnett, J. (1995). Self esteem, science teaching, and feeling good: A personal reflection. Crucible 27,18-20. Barnett, J. & Toews, D. (1978). The effects of oil and dispersant on Atlantic Salmon. Canadian Journal of Zoology 56(2), 307-310. I am also a faculty advisor to Western's student teachers who take their practica at Montcalm Secondary School in London. Research Issues in Information Technology Education GRADEDUC 521 M.Ed. 2005 Wrote and developed course for online M.Ed. Faculty Advisor - Montcalm Secondary School B.Ed. 2001-2008 A GREAT Practicum school! Canadian Football - amateur and professional. I was a referee for 16 years before the PhD and being a professor took away all my time. Media - I am fascinated with the images and stories that we hear and how they affect the ways we see the world and our fellow beings. The best audio web site. Constantly updated. A good source of education information. Necessary for anyone who does not have the APA Style Guide Version 5. Good information on educational resources. The world's first electronic journal in science education and it's free! The following list of links was updated in September, 2006. However, links come and go, so some may not be valid at the time you look at this page.